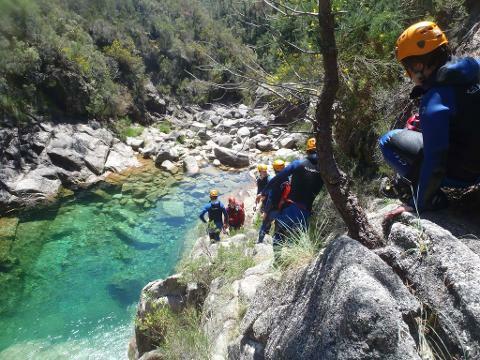 There isn´t any activity who allows you to have a bigger connection with the nature like canyoning! Make this activity is more than being in the river, is to make part of it! 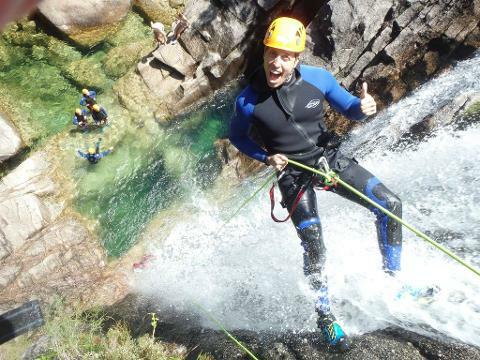 We love canyoning and we know every river of Portugal. Specially for you we choose the prettiest and versatile Gerês river. 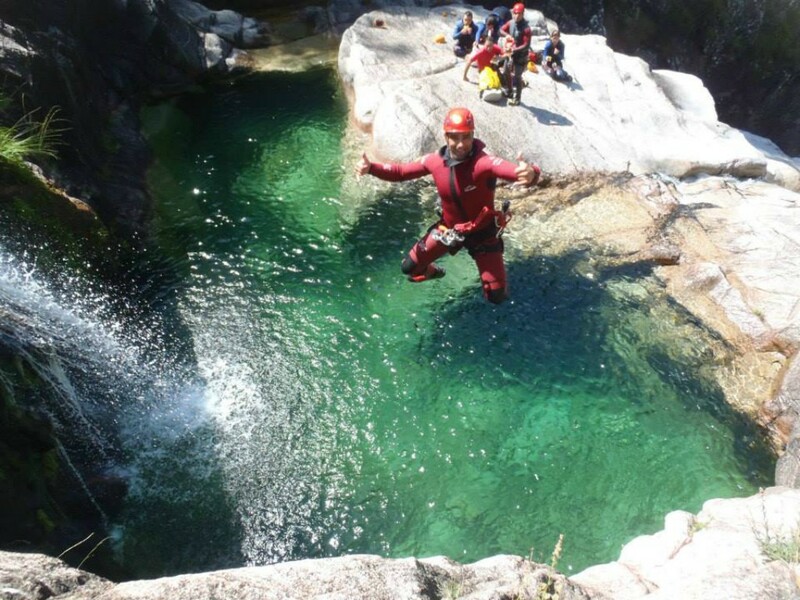 If you already done canyoning or if is your first time you will be surprised with the amount and variety of lagoons, waterfalls and landscapes! 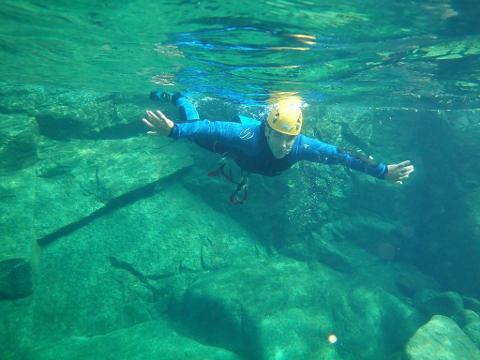 Oporto Adventure Tours provides the best equipment and specialized training guides who will help you to have the best activity of your life! Our main goal is your security (best equipment, boots and guides) and that you enjoy also the Portuguese culture  having the opportunity to meet the locals. 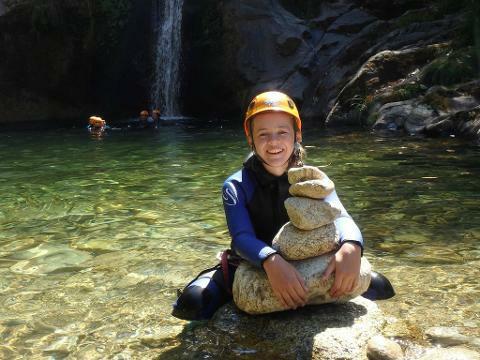 More than Just a Canyoning day tour! The natural beauty of Gerês National Park is impressive. The clear water of the Spring permit you take amazing underwater photos, but more important than that, during the descending of the rivers you will be able to do jumps (according with the height you feel comfortable) rappel , slide and being hypnotized with the water sound falling down the river during the activity. Our commitment is to assure you the best comfort and security, our guides have the specific formation who is updated every year, our equipment is high-end and the boots are the ideal for this kind of activities. Fun is guaranteed. After doing the canyoning you will be hungry, we invite you to lunch in a local restaurant where you can meet the countryside people. Is a real opportunity to know our culture through the food. This is a spectacular day for those who love the nature mixed with adrenaline. Small-group, up to 7 people per guide. Contribution for the local associations that help preserving nature and the culture. 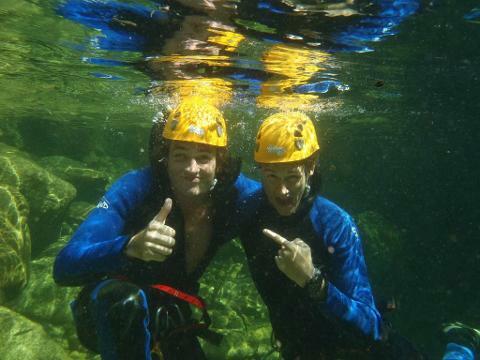 Under water Photos and videos of the Tour. Helmet and all necessary equipment. 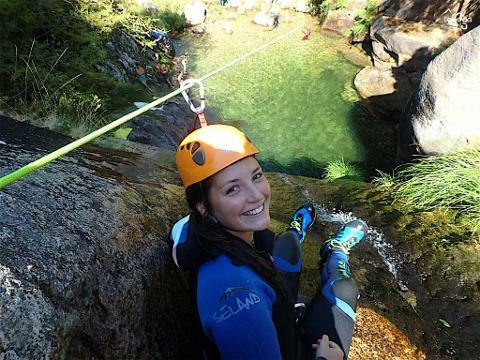 Special boots, comfortable and safe to do canyoning. Lunch ( but we stop at countryside restaurants and eat what the locals eat, you can eat and drink for around 5 euros). We are sure you will start to love Gerês National Park as much as we do! What travelers can join us ? Everyone who feel comfortable in the water. From 7 to 70 !